Li-ion batteries have ushered the portable electronics revolution empowering myriads of consumer electronic devices. The bulk Li-ion batteries using liquid organic electrolytes have gone through unprecedented commercial success. In parallel, all-solid-state thin film micro-batteries, employing solid electrolytes, have attracted much interest due to their potential application in microelectronic devices. Replacing the liquid electrolytes via solid electrolytes, operational safety can be enhanced while preserving the electrochemical performance. In this spirit, thin films of cathodes, anodes and solid electrolytes can be assembled to fabricate multilayered all-solid-state micro-batteries. The success of this niche sector largely depends on the development and assembly of key electrode and solid electrolyte components. The current review explores a gamut of cathodes, anodes and solid electrolytes for potential application in all-solid-state thin film Li-ion micro-batteries. Ahn J-K, and Yoon S-G, (2005)Characteristics of Amorphous Lithium Lanthanum Titanate Electrolyte Thin Films Grown by PLD for Use in Rechargeable Lithium Microbatteries Electroche. & Solid-State Letters 8(2) A75–A78. Alexis B, Béléké, Faure C, Röder M, Hovington P, Posset H, Guerfi A, Zaghi K, (2016) Chemically fabricated LiFePO4 thin film electrode for transparent batteries and electrochromic devices Materials Science and Engineering B214 81–86. Baba M, (1999), Fabrication and electrochemical characteristics of all- solid-state lithium-ion batteries using V2O5 thin films for both electrodes Electrochemical and Solid State Letters 2(7) p.p 320-322, 1099-0062. Baba M, Kumagai N, Fujita N, Ohta K, Nishidate K, Komaba S, (2001), Fabrication and electrochemical characteristics of all-solid-state lithium-ion rechargeable batteries composed of LiMn2O4 positive and V2O5 negative electrodes Journal of Power Sources 97-8 pp. 798-800, 0378-7753. Baba M, Kumagai N, Fujita H, Ohta K, Nishidate K, Komaba S, Kaplan B, Groult H, Devilliers D, (2003) Multi-layered Li-ion rechargeable batteries for a high-voltage and high-current solid-state power source J. Power Sources 119 914-917. Baba M, Kumagai N, Fujita N, Ohta K, Nishidate k, Komaba K, Groult H, Devilliers D, Kaplan B, (2001) Fabrication and electrochemical characteristics of all-solid-state lithium-ion rechargeable batteries composed of LiMn2O4 positive and V2O5 negative electrodes J. Power Sources 97 798-800. Baba M, Kumagai N, Fujita H, Ohta K, Nishidate K, Komaba S, Kaplan D, Groult H, Devilliers D, (2003) Multi-layered Li-ion rechargeable batteries for a high-voltage and high-current solid-state power source J. Power Sources 119 914-917. Baba M, Kumagai N, Kobayashi H, Nakano O, Nishidate K, (1999) Fabrication and Electrochemical Characteristics of All‐Solid‐State Lithium‐Ion Batteries Using V2O5 Thin Films for Both ElectrodesElectrochem. Solid-state Lett.2320-322. Bajars G, Kucinskis G, Smits J, Kleperis J, (2011) Physical and electrochemical properties of LiFePO4/C thin films deposited by direct current and radiofrequency magnetron sputtering Solid State Ionics 188 156–159. Bao Q, Chen C, Wang D, Ji Q, Lei I, (2005) Pulsed laser deposition and its current research status in preparing hydroxyapatite thin filmsApplied Surface Science252(5) pp. 1538-1544, 0169-4332. Baskaran R, Kuwata N, Kamishima O, Kawamura J, Selvasekarapandian S, (2009) Structural and electrochemical studies on thin film LiNi0.8Co0.2O2 by PLD for micro battery Solid State Ionics 180 636-643. Bates J. B, Dudney N. J, Neudecker B, Evans C. D, (2000) Thin-film lithium and lithium-ion batteriesSolid State Ionics 135 33-45. Bates, J. B, Dudney N. J, Gruzalski G. R, Zuhr R. A, Choudhury A, Robertson J. D (1993), Fabrication and characterization of amorphous lithium electrolyte thin films and rechargeable thin-film batteriesJournal of Power Sources 43(1-3) pp. 103-110, 0378-7753. Bates J. B, Dudney N. J, Gruzalski G. R, Zuhr R. A, Choudhury A, Luck C. F, Robertson J. D, (1993) Fabrication and characterization of amorphous lithium electrolyte thin films and rechargeable thin-film batteries J. Power Sources 43103-110. Bates J.B, Dudney N.J, Ueda A, Evans C.D, (2000) Thin-film lithium and lithium-ion batteries Solid State Ionics13533-45. Bates J.B, Dudney N.J, Gruzalski G.R, Zuhr R.A, Choudhury A and Luck C.F (1992) Electrical properties of amorphous lithium electrolyte thin filmsSolid State Ionics 53–56 647–654. Bates J.B and Yu X. (1996) Enhanced deposition rate of lithium phosphorus oxynitride thin films by sputtering of Li3PO4 in N2–He gas mixturesJour. of Vac. Sci. and Tech. A14 34–37. Bates J. B, Dudney N. J, Neudecker N, Ueda A, Evans C. D, (2000) Thin-film lithium and lithium-ion batteries Solid State Ionics135(1-4) pp. 33-45, 0167-2738. Bates J.B, Lubben D, Dudney N.J, and Hart F.X, (1995) 5-Volt Plateau in LiMn2O4 Thin FilmsJ. Electrochem. Soc.142 L149-L151. Birke P, Salam F, Doring S, and Weppner W, (1999) A first approach to a monolithic all solid state inorganic lithium batterySolid State Ionics 118 149–157. Braga M. H, Grundish N. S, Murchison A. J, Goodenough J. B (2017) Alternative strategy for a safe rechargeable battery Energy Environ. Sci., 10 331-336. Bruce P. G, (1997) Solid-state chemistry of lithium power sourcesChem. Commun.19 1817- 1824. Choi M, Lee S-H, Yang-Il Jung, Jung J-Y, Park Y-S, Choi W-K, (2017) The high capacity and cycle stability of NiFe2O4 thin film prepared by E-beam evaporation method for lithium ion batteriesJournal of Alloys and Compounds729 802-808. Cho K.I, Lee S.H, Cho K.H., Shin D.W. and Sun Y.K. (2006), Li2O–B2O3–P2O5 solid electrolyte for thin film batteries Journal of Power Sources 163(1) 223–228. Cho K, Lee T, Oh J and Shin D (2007), Fabrication of Li2O–B2O3–P2O5 solid electrolyte by aerosol flame deposition for thin film batteriesSolid State Ionics 178 119–123. Chrisey D, Hubler G. K, (1994) vol. 154–155 (Wiley, New York,). Creus R, Sarradin J, Astier R, Pradel A, and Ribes M, (1989) The use of ionic and mixed conductive glasses in microbatteriesMaterials Science and Engineering B3 109–112. Danmei Y, Yajuan Q, Xiaoyuan Z, Jie W, Chao L, Changguo C, Qisheng H, (2014) Mica-like vanadium pentoxide-nanostructured thin film as high-performance cathode for lithium-ion batteries Journal of Power Sources 266 1-6. Ding J-J, Sun Q, Fu Z-W, (2010) Layered Li (Ni1/4MnCo13)O2 as Cathode Material for All-Solid-State Thin-Film Rechargeable Lithium-Ion Batteries Electrochem. Solid-state Lett.13 A105-A108. Dokko K, Hoshina K, Nakano H and Kanamura K, (2007) Preparation of LiMn2O4 thin-film electrode on Li1+xAlxTi2−x(PO4)3 NASICON-type solid electrolyteJournal of Power Sources 174 1100–1103. Dudney N. J, Bates J. B, Zuhr R. A, Young S, Robertson J. D, Juncan H. P, Hackney, (1999), Nanocrystalline LixMn2−yO4 Cathodes for Solid‐State Thin‐Film Rechargeable Lithium BatteriesJournal of the Electrochemical Society 146(7) pp. 2455-2464, 0013-4651. Dudney N. J, Bates J. B, Zuhr R. A, Young S, Robertson J. D, Jun H.P, and Hackney S. A(1999) Nanocrystalline LixMn2-yO4 cathodes for solid-state thin-film rechargeable lithium batteries Journal of the Electrochemical Society 146 (7) 2455-2464, 0013-4651. Eun J. J, Young W. S, Sang C. N, Won C, Young S. S. (2001) Characterization of All-Solid-State Thin-Film Batteries with V2O5 Thin-Film Cathodes Using Ex Situ and In Situ Processes J. Electrochem. Soc. 148 A318-A322. Fujimoto D, Kuwata N, Matsuda Y, Kawamura J, (2015) Fabrication of solid-state thin-film batteries using LiMnPO4 thin films deposited by pulsed laser deposition Thin Solid Films 579 81–88. Glenneberg J, Andre F, Bardenhagen I, Langer F, Schwenzel J and Kun R, (2016) A concept for direct deposition of thin film batteries on flexible polymer substrate Journal of Power Sources 324 722–728. Gong C, Ruzmetov D, Pearse A, Ma D, Jeremy N-M, Rubloff G, Talin A.A, and Leite M.S, (2015) Surface/Interface Effects on High-Performance Thin-Film All-Solid-State Li-Ion BatteriesACS Appl. Mater. Interfaces 7 26007−26011. Goodenough J.B, Hong H.P-Y and Kafalas J.A, (1976) Fast Na+-ion transport in skeleton structures Mater. Res. Bull.11 203-220. Hayashi M, Takahashi M, Sakurai Y, (2007) Preparation of positive LiCoO2 films by electron cyclotron resonance (ECR) plasma sputtering method and its application to all-solid-state thin-film lithium batteries J. Power Sources 174 990-995. Hoshina N, Dokko K and Kanamura K, (2005) Investigation on Electrochemical Interface between Li4Ti5O12 and Li1+xAlxTi2−x(PO4)3 NASICON-Type Solid Electrolyte Journal of the Electrochemical Society152(11) A2138–A2142. Iriyama Y, Yokoyama M, Yada C, Jeong S.K, Yamada I, Abe T, Inaba M, Ogumi Z, (2004) Preparation of LiFePO4 Thin Films by Pulsed Laser Deposition and Their Electrochemical Properties Electrochem. Solid-state Lett. 7 A340-A342. James R. A, and H. Vourlis, (1988), Performance of Li/TiS2 solid state batteries using phosphorous chalcogenide network former glasses as solid electrolyte Solid State Ionics 28-30, No. Part 1, pp. 841-846, 0167-2738. Jacke S, Song J, Cherkashinin G, Dimesso L, Jaegermann W, (2010) Investigation of the solid-state electrolyte/cathode LiPON/LiCoO2 interface by photoelectron spectroscopy Ionics 16 769-775. Jang Y, Dudney N.J, Allard L.F, (2002) High-Voltage Cycling Behavior of Thin-Film LiCoO2 Cathodes J. Electrochem. Soc.149 A1442-A1447. Jones S.D, Akridge J.R, (1992) thin film solid state microbattery, Solid State Ionics 53-6, 628-634. Jones S.D, Akridge J.R, Shokoohi F.K, (1994) Thin film rechargeable Li batteries Solid State Ionics 69 357-368. Jourdaine L, Souquet J. L, Delord V, Ribes M, (1988) Lithium solid state glass-based microgeneratorsSolid State Ionics 28 1490-1494. Kaczmarek S, (1996) Pulsed laser deposition - Today and tomorrow: Laser Technology V Applications in Mater. Sciences and Engg. 3187 129-134. Kalita D.J, Lee S.H, Lee K.S, Ko D.H, Yoon Y.S, (2012) Ionic conductivity properties of amorphous Li–La–Zr–O solid electrolyte for thin film batteries Solid State Ionics 229 14–19. Kanehori, K, (1986), Titanium Disulfide Films Fabricated by Plasma CVDSolid State Ionics 18-9 pp. 818-822, 0167-2738. Kanehori K, Matsumoto K, Miyauchi K, Kudo T, (1983) Thin film solid electrolyte and its applications to secondary lithium cell Solid State Ionics 9 1445-1448. Kanehori K, Matsumoto K, Miyauchi K, Kudo T, (1986) titanium disulphide films fabricated by plasma CVD Solid State Ionics 18 818-822. Kawamura J, Kuwata N, Toribami K, Sata N, Kamishima O and Hattori T. (2004) Preparation of amorphous lithium ion conductor thin films by pulsed laser deposition Solid State Ionics175 273–276. Kbala M, Makyta M, Levasseur M A. and Hagenmuller P. (1984) Characterization and electrical behavior of new lithium chalcoborate thin films Solid State Ionics 15 163–169. Kim H-K, Seong T-Y, Cho W-I, Yoon Y.S, (2002) Rapid thermal annealing effect on surface of LiNi1−xCoxO2 cathode film for thin-film microbatteryJ. Power Sources 109 178-183. Kim H-K, Seong T-Y, Yoon Y.S, (2002) Fabrication of a Thin Film Battery Using a Rapid-Thermal-Annealed LiNiO2 Cathode Electrochem. Solid-state Lett. 5 A252-A255. Kim Y.G, and Wadley H.N.G. (2008) Lithium phosphorous oxynitride films synthesized by a plasma-assisted directed vapor deposition approach Journal of Vacuum Science and Technology A.26(1) 174–183. Kirino F, Ito Y, Miyauchi K, Kudo T, (1986) Electrochemical Behavior of Amorphous Thin Films of Sputtered V2O5-WO3 Mixed ConductorsNippon Kagaku Kaishi3 445-450. Kitaoka K, Hashimoto T, and Yoko T, (1997) Preparation of La0.5Li0.5TiO3 perovskite thin films by the sol–gel method Journal of Materials Science32(8) 2063–2070. Kitaura H, Takahashi K, Mizuno F, Hayashi A, Tadanaga K, Tatsumisago M, (2007) Preparation of α-Fe2O3 Electrode Materials via Solution Process and Their Electrochemical Properties in All-Solid-State Lithium Batteries J. Electrochem. Soc.154 A725-A729. Kiyoharu T, Hiromi E, Akitoshi H, Masahiro T, Jadra M, Mario A, Alicia D, (2015) Preparation of lithium ion conductive Al-doped Li7La3Zr2O12 thin films by a sol-gel process Journal of Power Sources 273 844-847. Kotobuki M, Munakata H, Kanamura K, (2013) Chapter 4.2, Handbook of Advanced Ceramics, second ed., Academic Press, Oxford, 343-351. Kun R, Schlee P, Pal E, Busse M, Gesing T, (2017) Role of the precursor chemistry on the phase composition and electrochemical performance of thin-film LiMn2O4 Li-ion battery cathodes prepared by spray pyrolysis Journal of Alloys and Compounds 726 664-674. Kuwata N, Kumar R, Toribami K, Suzuki T, Hattori T, Kawamura J, (2006) Thin film lithium ion batteries prepared only by pulsed laser deposition Solid State Ionics 177 2827–2832. Kuwata N, Iwagami N, Tanji Y, Matsuda Y, Kawamura J, (2010) Characterization of Thin-Film Lithium Batteries with Stable Thin-Film Li3PO4 Solid Electrolytes Fabricated by ArF Excimer Laser Deposition J. Electrochem. Soc.157 A521-A557. Kuwata N, Kawamura J, Toribami K, Sata N, (2004) Thin-film lithium-ion battery with amorphous solid electrolyte fabricated by pulsed laser deposition Electrochem. Commun.6 417-421. Kuwata N, Kumar R, Toribami K, Suzuki T, Hattori T, Kawamura J, (2006) Thin film lithium ion batteries prepared only by pulsed laser deposition Solid State Ionics 177 2827-2832. Kuwata N, Kumar N, Toribami R, Suzuki K, Hattori T and Kawamura J (2006) Thin film lithium ion batteries prepared only by pulsed laser deposition Solid State Ionics 177 2827–2832. Lee J.M, Kim S.H, Tak Y, and Yoon Y.S, (2006) Study on the LLT solid electrolyte thin film with LiPON interlayer intervening between LLT and electrodes Journal of Power Sources 163 173–179. Lee S-H, Liu P, Tracy C, Benson D-K, (1999) All‐Solid‐State Rocking Chair Lithium Battery on a Flexible Al SubstrateElectrochem. Solid-state Lett.2 425-427. Lee S.J, Baik H.K, Lee S.M, (2003) An all-solid-state thin film battery using LISIPON electrolyte and Si–V negative electrode filmsElectrochem. Commun.5 32-35. Li C-L, Sun Q, Jiang G-Y, Fu Z-W, Wang B-M, (2008) Electrochemistry and Morphology Evolution of Carbon Micro-net Films for Rechargeable Lithium Ion Batteries J. Phys. Chem. C 112 13782-13788. Li C-L, Liu W-Y, Fu Z-W, (2006) Physical and Electrochemical Characterization of LiCo0.8M0.2O2 (M=Ni,Zr) Cathode Films for All-solid-state Rechargeable Thin-film Lithium Batteries Chin. J. Chem. Phys. 19 493-499. Li C-L, Fu Z-W, (2007) All-solid-state rechargeable thin film lithium batteries with LixMn2O4 and LixMn2O4–0.5ZrO2 cathodesElectrochim. Acta52 6155-6164. Li C-L, Zhang B, Fu Z-W, (2006) Physical and Electrochemical Characterization of Thin Films of Iron Phosphate and Nitrided Iron Phosphate for All-Solid-State Batteries J. Electrochem. Soc.153 E160-E165. Li C-L, Fu Z-W, (2008) Nano-sized copper tungstate thin films as positive electrodes for rechargeable Li batteriesElectrochem. Acta 53 4293-4301. Li C-L, Sun K, Yu L, Fu Z-W, (2009) Electrochemical reaction of lithium with orthorhombic bismuth tungstate thin films fabricated by radio-frequency sputtering Electrochim. Acta 55 6-12. Li C-L, Fu Z-W, (2008) Electrochemical characterization of amorphous LiFe(WO4)2 thin films as positive electrodes for rechargeable lithium batteriesElectrochem. Acta 53 6434-6443. Li D, Ma Z, Xu J, Li Y, Kai X, (2014) High temperature property of all-solid-state thin film lithium battery using LiPON electrolyte Materials Letters 134 237–239. Liu Z, Tang Y, Lü X, Ren G, Huang F, (2014) Enhanced ionic conductivity of sulfide-based solid electrolyte by incorporating lanthanum sulfide Ceram. Int.40 15497-15501. Li W, Dahn J. R, Wainwright D. S. (1994) Rechargeable lithium batteries with aqueous electrolytes Science 264 1115-1118. Machida N, Hidekazu Y, Toshihiko S, (2004) Chemistry Letters 33(1) pp. 30-31, 0366-7022. Ma J, Qin Q-Z, (2005) Electrochemical performance of nanocrystalline LiMPO4 thin-films prepared by electrostatic spray depositionJ. Power Sources 148 66-71. Ma J, Qin Q-Z, (2005) Electrochemical performance of nanocrystalline LiMPO4 thin-films prepared by electrostatic spray deposition J. Power Sources 148 66-71. Masashi K, Hirokazu M, Kiyoshi K, Yosuke S, Toshihiro Y, (2010) Compatibility of Li7La3Zr2O12 solid electrolyte to all-solid-state battery using Li metal anode J Electrochem Soc.157 A1076–A1079. Matsumura T, Nakano K, Kanno N, Hirano A, Imanishi N, Takeda Y, (2007) Nickel sulfides as a cathode for all-solid-state ceramic lithium batteries J. Power Sources 174 632-636. Maqueda O, Sauvage F, Laffont L, Martinez-Sarrion, Mestres L and Baudrin, E. (2008) Structural, microstructural and transport properties study of lanthanum lithium titanium perovskite thin films grown by Pulsed Laser Deposition Thin Solid Films 516 1651–1655. Meunier G, Dormoy R, Levasseur A, (1989) New Positive-electrode Materials for Lithium Thin Film Secondary Batteries Mater. Sci. Eng. B 3 19-23. Miyauchi K, (1983), Lithium Ion Conductive Thin-Films and Their Electrical Properties Denki Kagaku 51 (1), pp. 211-212, 0366-9297. Mount E, (2003) Principles of Chemical Vapor Deposition (Book) Sci-Tech News57(4) pp. 80, 00368059. Mrgudich J.N, (1960) Conductivity of Silver Iodide Pellets for Solid‐Electrolyte BatteriesJ Electrochem Soc.107 475-479. Murugan R, Thangadurai V, Weppner W, (2007) Fast lithium ion conduction in garnet-type Li7La3Zr2O12. Angew Chem. Int. Ed.46 7778–7781. Nakazawa H, Sano K, Baba M, (2005) Fabrication by using a sputtering method and charge–discharge properties of large-sized and thin-filmed lithium ion rechargeable batteries J. Power Sources 146 758-761. Nakazawa H, Sano K, Abe T, Baba M, Kumagai N, (2007) Charge–discharge characteristics of all-solid-state thin-filmed lithium-ion batteries using amorphous Nb2O5 negative electrodes J. Power Sources 174 838-842. Nakazawa H, Sano K, Baba M, and Kumagai N, (2015) Stability of Thin-Film Lithium-Ion Rechargeable Batteries Fabricated by Sputtering Method without Heating Journal of Electrochemical Society 162 (3) A392-A397. Nishio Y, Kitaura H, Hayashi A, Tatsumisago M, (2009) All-solid-state lithium secondary batteries using nanocomposites of NiS electrode/Li2S–P2S5 electrolyte prepared via mechanochemical reaction J. Power Sources 189 629-632. Neudecker B.J, Zuhr R. A, Bates J.B, (1999) Lithium silicon tin oxynitride (LiySiTON): high-performance anode in thin-film lithium-ion batteries for microelectronics J. Power Sources 81 27-32. Neudecker. N.B, Robertson J.D, Bates J.B, (1998) Lithium Manganese Nickel OxidesLix(MnyNi1−y)2−xO2: II. Electrochemical Studies on Thin‐Film BatteriesJ. Electrochem. Soc.145 4160-4168. Neudecker B.J, Zuhr R.A, Bates J.B, (1999) Lithium silicon tin oxynitride (LiySiTON): high-performance anode in thin-film lithium-ion batteries for microelectronics J. Power Sources 81 27-32. Kamaya N, Homma K, Yamakawa Y, Hirayama M, Kanno R, Yonemura M, Kamiyama T, Hama S, Kato K, Mitsui A, (2011) A lithium superionic conductor Nature materials 10 682-686.
system Journal of the Electrochemical Society 148 (7) A742–A746. Ohta, N, Takada, K., Osada, M., Zhang, L.Q., Sasaki, T. and Watanabe, M. (2005) Solid electrolyte, thio-LISICON, thin film prepared by pulsed laser deposition Journal of Power Sources 146707–710. Ohtsuka, H., and J. Yamaki, (1989), Electrical Characteristics of Li2O-V2O5-SiO2 Thin-Films Solid State Ionics35(3-4) pp. 201-206, 0167-2738. Ohtsuka, H, (1990), Solid-State Battery with Li2O-V2O5-SiO2 Solid Electrolyte ThinFilmSolid State Ionics 40-1 pp. 964-966, 0167-2738. Ohtsuka H, Sakurai Y, (2001) Characteristics of Li/MoO3−x thin film batteries Solid State Ionics 144 59-64. Ohtsuka H, and Yamaki J-I (1989a) Preparation and Electrical Conductivity of Li2O-V2O5-SiO2 Thin Films Jap. Jour. of Appl. Phys. 28(11) 2264–2267. Ohtsuka H, and Yamaki J-I (1989b) Electrical characteristics of Li2O-V2O5-SiO2 thin films Solid State Ionics 35 201–206. Ohtsuka H, and Sakurai Y (2001) Characteristics of Li/MoO3−x thin film batteries Solid State Ionics 144 59–64. Pana G.X, Caoa F, Zhanga Y.J, Xia X.H, (2018) Integrated carbon cloth supported LiFePO4/N-C films as high-performance cathode for lithium ion batteries Materials Research Bulletin 98 70–76. Park Y. S, (1999), All-solid-state lithium thin-film rechargeable battery with lithium manganese oxide Electrochemical and Solid State Letters2(2) pp. 58-59, 1099-0062. Park Y.S, Lee S.H, Lee B.I, Joo S-K, (1999) All‐Solid‐State Lithium Thin‐Film Rechargeable Battery with Lithium Manganese OxideElectrochem. Solid-state Lett.2 58-59. Polat B.D, Eryilmaz O.L, Keleş O, Amine K, (2015) Compositionally graded SiCu thin film anode by magnetron sputtering for lithium ion battery Thin Solid Films 596190–197. Polat B.D, Keles O, (2016) Functionally Graded Si Based Thin Films as Negative Electrodes for Next Generation Lithium Ion Batteries ElectrochimicaActa 187 293–299. Rambabu A, Senthilkumar B, Dayamani A, Krupanidhi S. B, Prabeer Barpanda, (2018) Preferentially oriented SrLi2Ti6O14 thin film anode for Li-ion microbatteries fabricated by pulsed laser deposition ElectrochimicaActa 269 212-216. Ravikumar M.K, Suman Rathod, Nandini Jaiswal, Satish Patil, Ashok Shukla (2017) The renaissance in redox flow batteries J. Solid State Electrochem 21 2467–2488. Robertson A.D, West A.R. and Ritchie A.G. (1997) Review of crystalline lithium-ion conductors suitable for high temperature battery applicationsSolid State Ionics 104 1–11. Sakurai Y, Sakuda A, Hayashi A, (2011) Multivalent ionic conductivity in the series of phosphates LaxYb1/3−xZr2(PO4)3 with NASICON structureSolid State Ionics 182 59–63. Sangryun K, Masaaki H, Sou T, Ryoji K, (2013) Epitaxial growth and lithium ion conductivity of lithium-oxide garnet for an all solid-state battery electrolyte Dalton Trans.42 13112–13117. Sauvage F, Baudrin E, Morcrette M, Tarascon J-M, (2004) Pulsed Laser Deposition and Electrochemical Properties of LiFePO4 Thin Films Electrochem. Solid-state Lett.7 A15-A18. Sauvage F, Baudrin E, Laffont L, Tarascon J.M, (2007) Origin of electrochemical reactivity enhancement of post-annealed LiFePO4 thin films Preparation of heterosite-type FePO4Solid State Ionics 178 145–152. Schichtel P, Geiß M, Leichtweiß T, Sann J, Weber D.A, Janek J, (2017) On the impedance and phase transition of thin film all-solid-state batteries based on the Li4Ti5O12 systemJournal of Power Sources 360 593-604. Shokoohi, F. K, (1991), Fabrication of Thin-Film LiMn2O4 Cathodes for Rechargeable MicrobatteriesApplied Physics Letters 59 (10) pp. 1260-1262, 0003-6951. Sivajee G K, Purusottam Reddy B, Hussain M, Mauger A, Julien C.M, (2016) Influence of Ti and Zr dopants on the electrochemical performance of LiCoO2 film cathodes prepared by rf-magnetron sputtering Materials Science and Engineering B 209 30–36. Souquet J. L, and Duclot M, (2002) Thin film lithium batteries Solid State Ionics 148 (3-4) pp. 375-379, 0167-2738. Steven D. J, James R. A, (1995) Development and performance of a rechargeable thin-film state microbatteryJ. Power Sources 54 63-67. Stramare S, Thangadurai V, and Weppner W, (2003) Lithium Lanthanum Titanates: A Review Chemistry of Materials 15 3974–3990. Takada K, (2013) Progress and prospective of solid-state lithium batteries ActaMaterialia 61 759–770. 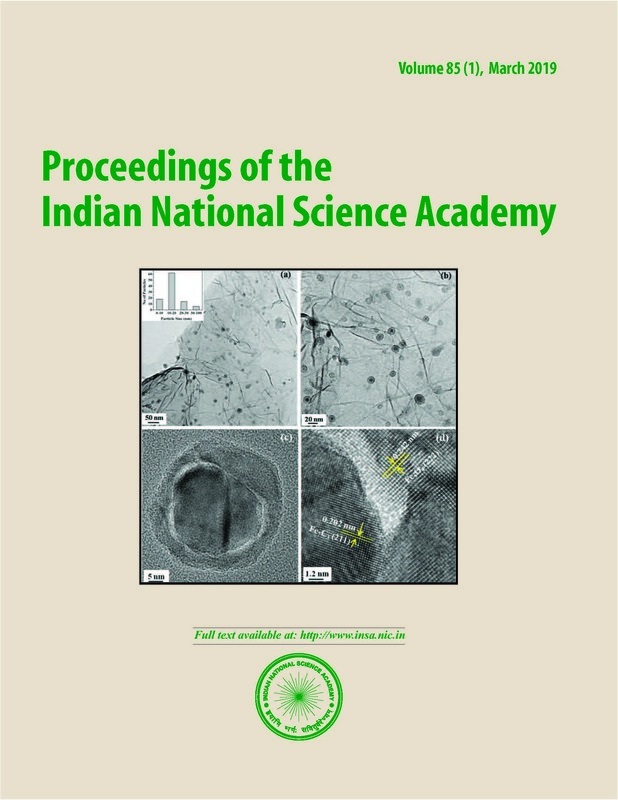 Thangadurai V, and Weppner W. (2005) Investigations on electrical conductivity and chemical compatibility between fast lithium ion conducting garnet-like Li6BaLa2Ta2O12 and lithium battery cathodesJour. of Power Sources 142 339–344. Thangadurai V, and Weppner W. (2006) Recent progress in solid oxide and lithium ion conducting electrolytes researchIonics 12 81–92. Tong Y, Xu Z, Liu C, Zhang G, Wang J, Wu Z-G, (2014) Magnetic sputtered amorphous Si/C multilayer thin films as anode materials for lithium ion batteries Journal of Power Sources 247 78-83. Ueda A, Nagao M, Inoue A, Hayashi A, Seino Y, Ota T, Tatsumisago M, (2013) Electrochemical performance of all-solid-state lithium batteries with Sn4P3 negative electrode J. Power Sources 244 597-600. Vereda F, Goldner R.B, Haas T.E and Zerigian P (2002) Rapidly Grown IBAD LiPON Films with High Li-Ion Conductivity and Electrochemical Stability Electrochemical and Solid-State Letters 5(11) A239–A241. Wang B, Bates J.B, Hart F.X, Sales B.C, Zuhr R. A, Robertson J. D, (1996) Characterization of Thin‐Film Rechargeable Lithium Batteries with Lithium Cobalt Oxide Cathodes J. Electrochem. Soc.143 3203-3213. Wang B, Bates J.B, Hart F.X, Sales B.C, Zuhr R.A, and Robertson J.D, (1996) Characterization of Thin‐Film Rechargeable Lithium Batteries with Lithium Cobalt Oxide Cathodes Journal of the Electrochemical Society 143 3203-3213. Wang Y, Roller J, Maric R, (2017) Direct Dry Synthesis of Thin Nanostructured LiNi0.8Co0.2O2 Film for Lithium Ion Micro-battery Cathodes ElectrochimicaActa2 41 510–516. Wang Z, Santhanagopalan D, Zhang W, Wang F, Xin H-L, He K, Li J, Dudney N.J and Meng Y.S, (2016)In Situ STEM-EELS Observation of Nanoscale Interfacial Phenomena in All-Solid-State BatteriesNano Lett. 16 (6) 3760–3767. Wen-Yen L, Zhen-Wen F, Qi-Zong Q, (2007) A sequential thin-film deposition equipment for in-situ fabricating all-solid-state thin film lithium batteries Thin Solid Films 515 4045-4048. West W. C, Whitacre J. F,(2005) Long Cycle Life Elevated Temperature Thin-Film Batteries Incorporating MoO3 Cathodes J. Electrochem. Soc.152 A966-A969. West W-C, Whitacre J.F, Ratnakumar B.V, (2003) Radio Frequency Magnetron-Sputtered LiCoPO4 Cathodes for 4.8 V Thin-Film Batteries J. Electrochem. Soc.150 A1660-A1666. Whitacre J.F, West W.C, Brandon E, Ratnakumar B.V, (2001) Crystallographically Oriented Thin-Film Nanocrystalline Cathode Layers Prepared Without Exceeding 300°C J. Electrochem. Soc.148 A1078-A1084. Whitacre J.F, West W.C, Ratnakumar B.V (2003) A Combinatorial Study of LiyMnxNi2 − xO4 Cathode Materials Using Microfabricated Solid-State Electrochemical Cells J. Electrochem. Soc.150 A1676-A1683. Whitacre, J.F. and West, W.C. (2004) Crystalline Li3PO4/Li4SiO4 solid solutions as an electrolyte for film batteries using sputtered cathode layers Solid State Ionics 175 251–255. Whittingham M. S, (2004) Lithium batteries and cathode materials Chemical Reviews 104 (10) pp. 4271-4301, 0009-2665. Willmott P. R, Huber J. R, (2000) Pulsed laser vaporization and deposition Rev. Mod. Phys.72 315-328. Wu X.M, Li X.H, Wang S.W, Wang Z, Zhang Y-H, Xu M.F. and He Z.Q. (2003) Preparation and characterization of lithium-ion-conductive Li1.3Al0.3Ti1.7(PO4)3 thin films by the solution depositionThin Solid Films 425 103–107. Xia H, Wang H.L, Wei X, Li L, (2009) Thin film Li electrolytes for all-solid-state micro-batteries Int. J. Surf. Sci. and Engg.3(1/2), 23-43. Xie J, Imanishi N, Zhang N, Hirano A, Takeda Y, Yamamoto O, (2009) Li-ion diffusion kinetics in LiFePO4 thin film prepared by radio frequency magnetron sputtering ElectrochimicaActa 54 4631–4637. Xiea J, Imanishi N, Zhang T, Hirano A, Takeda Y, Yamamoto O, (2010) n amorphous LiCo1/3Mn1/3Ni1/3O2 thin film deposited on NASICON-type electrolyte for all-solid-state Li-ion batteriesJournal of Power Sources 195 5780–5783. Xu X, Wen Z, Yang X, Zhang J and Gu Z, (2006) High lithium ion conductivity glass-ceramics in Li2O–Al2O3–TiO2–P2O5 from nanoscaled glassy powders by mechanical milling Solid State Ionics177 2611-2615. Yamaki J, Ohtsuka H, Shodai T, (1996) Rechargeable lithium thin film cells with inorganic electrolytes Solid State Ionics 86 1279-1284. Yamashita M (1999) Studies on magnetron sputtering assisted by inductively coupled RF plasma for enhanced metal ionization Japanese Journal of Applied Physics Part 1-Regular Papers Short Notes & Review Papers 38(7B), pp. 4291-4295, 0021-4922. Yamashita M, Yamanaka H, Wakabayashi H. (1996) Thin-film preparation of the Li2S-GeS2-Ga2S3 glass system by sputtering Solid State Ionics 89 299–304. Yamashita M, and Yamanaka H (2003) Formation and ionic conductivity of Li2S–GeS2–Ga2S3 glasses and thin films Solid State Ionics 158 151–156. Yang X, Tang Y, Yu M, Qin Q, (2000) Pulsed laser deposition of aluminum tris-8-hydroxyquinline thin films Thin Solid Films 358 187-190. Yoshitake T, Nagamoto T, Nagayam K, (2001) Microstructure of β-FeSi2 thin films prepared by pulsed laser deposition Thin Solid Films 381(2) pp. 236-243, 0040-6090. Yoon Y, Park C, Kim C, Shin D, (2013) Lattice orientation control of lithium cobalt oxide cathode film for all-solid-state thin film batteriesJ. Power Sources 226 186-190. Yoon Y, Park C, Kim J, Shin D, (2013) The mixed former effect in lithium borophosphateoxynitride thin film electrolytes for all-solid-state micro-batteries ElectrochimicaActa 111 144– 151. Yufit V, Freedman K, Nathan M, Burstein L, Golodnitsky D, Peled E, (2004) Thin-film iron sulfide cathodes for lithium and Li-ion/polymer electrolyte microbatteriesElectrochim. Acta 50 417-420. Yu X-H, Bates J.B, Jellison G-E and Hart F.X. (1997) In Situ Scanning Tunneling Microscope Study of the Passivation of Cu(111) Journal of the Electrochemical Society 144(2), 524–532. Zhao S.L, Fu Z.W and Qin Q.Z (2002) A solid-state electrolyte lithium phosphorus oxynitride film prepared by pulsed laser deposition Thin Solid Films 415 108–113. Zheng Q, Zhang X, Shen Y, (2015) Construction of hierarchical porous NiCo2O4 films composed of nanowalls as cathode materials for high-performance supercapacitor Materials Research Bulletin 64 401–404. Zhu J, Feng J-K, Lu L, Zeng K-Y, (2012) In situ study of topography, phase and volume changes of titanium dioxide anode in all-solid-state thin film lithium-ion battery by biased scanning probe microscopyJ. Power Sources 197 224-230.